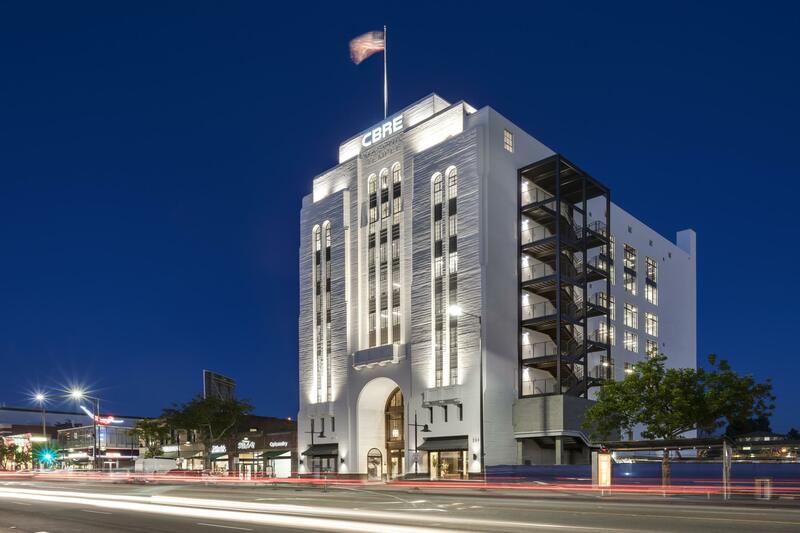 The first of its kind for Caruso, The Masonic Temple is a nine-story 1929 landmark Art Deco building that was meticulously revitalized by Caruso to become Class-A innovative office and retail space. After working very closely with city staff and local officials, and listening to the community and the historic preservation committee, Caruso began design and construction on the rehabilitated temple with trust, good faith and a handshake. After only 10 months, The Masonic Temple was renovated, and once again assumed iconic status is Southern California. The Masonic Temple successfully marries modern expectations with classic elements of Art Deco for its interior and exterior spaces. Decades following the last meetings with the Masons, The Masonic Temple is now home to CBRE’s North Los Angeles headquarters, a Fortune 300 company and one of the world’s largest real estate companies. At The Masonic Temple, Caruso offers an unprecedented scope of five-star concierge services and amenities to CBRE employees and clients. Now open along the south side of the building at 252 South Brand Boulevard is a collection of foodie favorites, including Shake Shack, Eggslut, Mainland Poke, Philz Coffee and Greenleaf Gourmet Chopshop. This premium experience is also strengthened by the adjacency to an abundance of shopping, dining and entertainment options across the street at The Americana at Brand.